This is Sylvia’s Super Awesome Kit, a companion kit for Sylvia’s Super-Awesome Project Book: Super Simple Arduino! 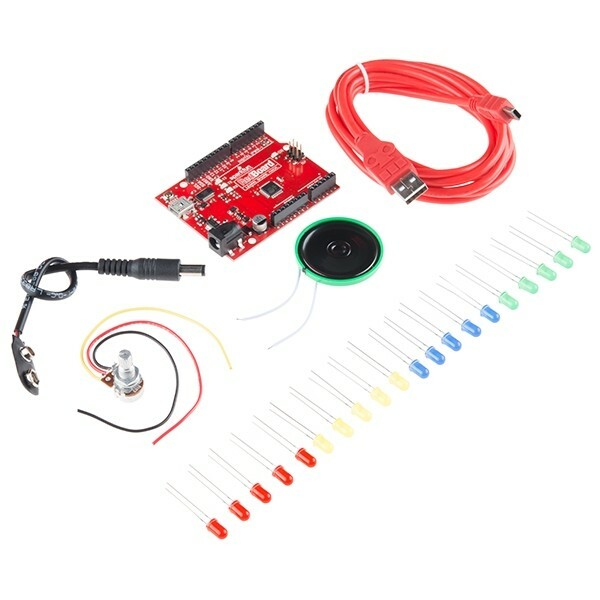 With this kit you will be able to follow along with the book and create three great projects to get started on an Arduino adventure! A lot of work has gone into the Super-Awesome Project Book, and we wanted to make it as easy as possible to get the three projects in this book started. Note: A portion of this sale is given back to Sylvia “Super-Awesome” Todd for continued development and education funding.